China is third on HSBC's ranking of best expat destinations. Many Chinese want to swap Beijing pollution for greener foreign shores, but it seems plenty of expats are happy to head in the opposite direction. China is the third most desirable expat destination, just behind Singapore in second place and Switzerland in the lead, according to a study by HSBC. Lower living costs and bumper salaries play heavily in China's favor. "China is the best place for expats looking to make their money go further, with 76% of expats in the country experiencing growth in their spending power once they've moved," the global bank said. 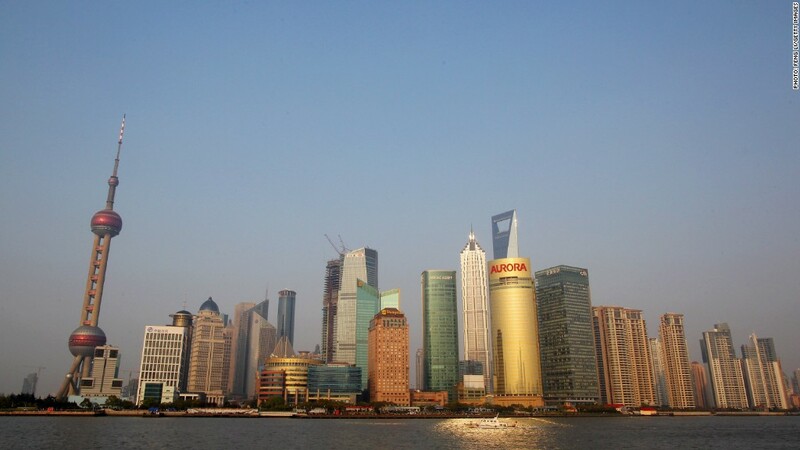 Most expats move to China for better job prospects, attracted by souped up pay packages. About a quarter of expats make more than $300,000 in annual salary, the highest proportion of any country. China's popularity with international executives contrasts with the desire of many wealthy Chinese to move overseas for a better quality of life. A Barclays survey last month found that 47% of Chinese respondents planned to move abroad in the next five years. A flood of applications from China has overwhelmed investor immigrant visa programs in the U.S. and Canada. Interest was so high that Canada shut its program earlier this year. And the U.S. said in August that it had run out of such visas for the Chinese. Experts say the emigrants are looking for a brighter future for their children, to escape heavy pollution, and to find some protection against political and economic uncertainty. Switzerland tops HSBC's list of expat destinations, thanks to its combination of high income and beautiful mountain scenery. The quality of education is also very high. Singapore rates highly for its multicultural environment, including the vast range of cuisines on offer, despite having higher living costs than most expats would face back home. HSBC and third party research firm YouGov surveyed almost 9,300 expats in over 100 countries.